You wanna join the Karaoke Contest? Make sure you read the rules before you submit an application! 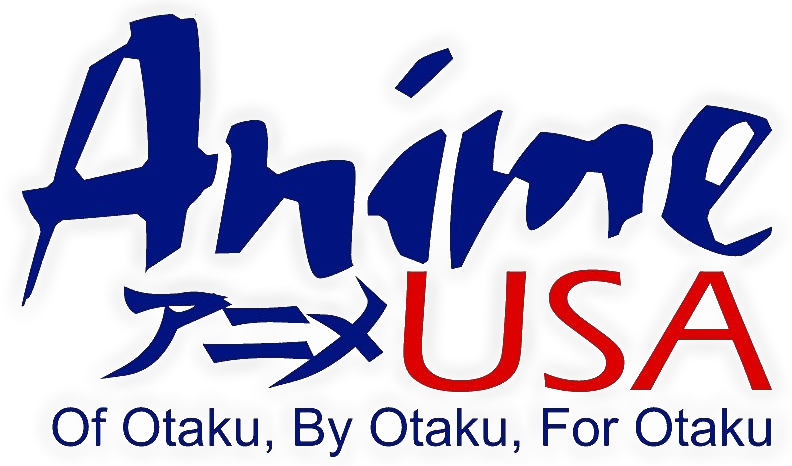 Contestants must be attendees of Anime USA 2018. Staff and volunteers are eligible to compete so long as they are not part of the Karaoke staff. A maximum of 25 entries will be accepted. The contest will take place in two rounds, with the highest scorers of the preliminary round moving to the final round. The number of contestants to move to the final round will be left to the judges’ discretion. Following the final round, the judges will deliberate and awards will be announced directly afterwards, there will be “open mic” for three songs while the judges’ deliberate. Contestants must be present to receive their award. Only two microphones will be available for the contestants’ use. Please keep this in mind when planning a group performance. Contestants may either participate as a Single Entry (one person) or a Group Entry (2-5). Contestants may only compete once in the contest. When competing as a Group Entry, all members of the group must sing during each round. Group members may not rotate or change between rounds. Contestants are asked to prepare a different song for each round. Songs may be performed with a backing track, but can also be sung a cappella. If a song exceeds these time limits, the music will be faded out and the performance cut, contestants are allowed 10 seconds of time over the time limit before the music will be faded out completely. If the contestant would like the karaoke staff to fade the song out at a designated time, they should indicate this once the staff has possession of the song. At the time of registration contestants MUST provide their desired two songs. For in person entries, a CD, USB flash drive or email entry is required at time of sign-up. We cannot pull songs directly from your phone! Any items should be clearly labeled with your name and will be returned after the contest, if needed. These can be picked up at Karaoke until 2pm on Sunday or from us directly after contest. We will not release a CD to someone other than the contestant. Items that are unclaimed by 2pm on Sunday will be disposed of by the convention. We highly suggest using a karaoke version or instrumental version of a song. If a karaoke or instrumental version is not available, the karaoke staff will attempt to dampen the vocals via soundboard while playing the song, which does not always work well. This is required for the judges to hear the contestant performing and not the original artist. Contestants may sing songs from the following sources: anime, Japanese video games, or Japanese culture. New for AnimeUSA 2018, with the addition of our Western Animation Tracks,, we will also allow Disney songs at the karaoke contest, please see all guidelines above, to include using a karaoke version of your track! Contestants must use the official lyrics to the song—performing original lyrics or translations is not allowed. English or other non-Japanese songs from the dubbed version of an anime series or video game are also acceptable. It is acceptable to use a printed lyrics sheet during your performance, however if the contestant seems to be distracted by the lyrics sheet or spends too much time reading it, this could negatively affect their score. If you need a lyrics sheet printed, please see the deadline and disclaimer regarding song choices above. During the performance, the contestant(s) will be the only one onstage. Backup dancers are not permitted. Contestants are not allowed to leave the stage or stage area during their performance—this includes singing or performing within the audience. This is for the sake of the equipment and everyone’s ears, so please keep this rule in mind. Contestants may also not interact with the judges or MC during their performance. Karaoke Contest staff will determine the order in which each contestant competes. Staff will make every attempt to honor requests from contestants as to when they perform in the contest, but there are no guarantees these requests can be granted. All contestants will be given a print-out of the order of performance upon arrival, but please keep in mind your turn may come up sooner if another contestant does not show (we will make all attempts to notify contestants of line-up changes prior to beginning). Decisions of the judges are final. Any contestant who attempts to argue with the judges or staff may be disqualified from the competition. All performances must be family friendly and rated PG or less. Karaoke Contest staff reserve the right to stop a performance and disqualify an entrant if they feel the act has become inappropriate. All contestants must check in at the Karaoke Contest 30 minutes prior to event start time on Saturday. At check-in time contestants will receive their contestant numbers. Any contestants who have not checked in by 15 minutes prior will be eliminated and a contestant from the waiting list will be selected to compete instead. Vocal Performance 1-25 points — Contestants will be rated on their vocal performance and ability, including pitch, phrasing, vibrato, rhythm, and tone. Stage Performance 1-10 points — Contestants will be rated on their stage presence and presentation, including confidence, movement/dancing, appearance, and command of audience. Additional prizes may be awarded depending on scores and/or availability of prizes. Click here to submit an application to join!